WHOLives provides the general public with opportunities to support our work right here at home. From local service projects to benefit concerts, we pride ourselves in exceptional events that raise funds and awareness of our noble mission. Check out our list of upcoming events and join us! Come take a motorcycle ride along the Nebo Loop and support a charitable cause! Sign up now for the annual WHOlives Ride for Clean Water on June 16th. 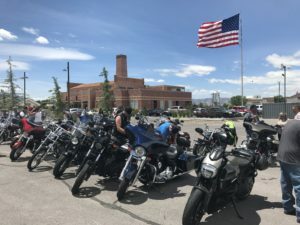 The ride starts from Timpanogos Harley in Lindon (KSU 10:00am) and ends at Legends in Springville. Lunch included and live music from Blue on Black! All registration fees will support clean water projects around the world! Click to sign-up. Please contact us at help@WHOlives.org for information.